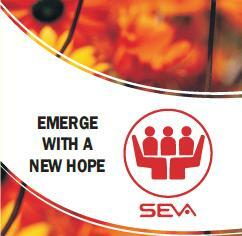 Seva took part in Seva Mela held on October 1 and 2nd @ Gandhi Medical College. World Mental Health Day Campaign. Awareness talk in Keshav Memorial Institute of Technology, Narayanguda, on World Suicide Prevention day, Sept 10. Training Workshop, August 19 to 21. Visit by students of Karve Institute of Social Service on December 5th. Seva Mela, October 3 and 4. 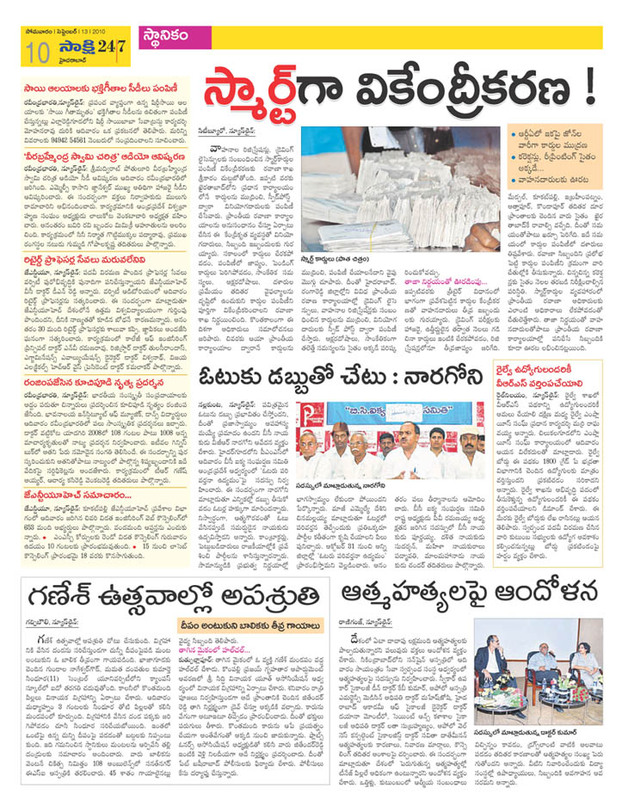 Awareness talk in various colleges of Hyderabad and Secunderababad on World Suicide Preventation day, September 10. Training Workshop, August 7 to 9. Events conducted/participated in 2014: Clickhereto view the press clips. Talk by Dr. Vijay Seshadri on November 9. Seva Mela, October 4 and 5. Awareness walk on World Suicide Prevention Day, September 10. Talk by Dr. Ramancharla Pradeep Kumar on August 10. Training Workshop, January 17 to 19. 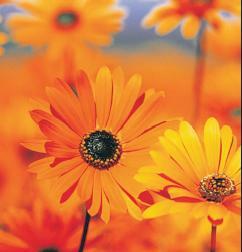 Events conducted/participated in 2013: Clickhereto view the press clips. Seva Mela, October 5 and 6. Music for a Cause, October 2. Talk by Shri Yandamoori Veerendranathon on September 29. Seva Mela, October 6 and 7. 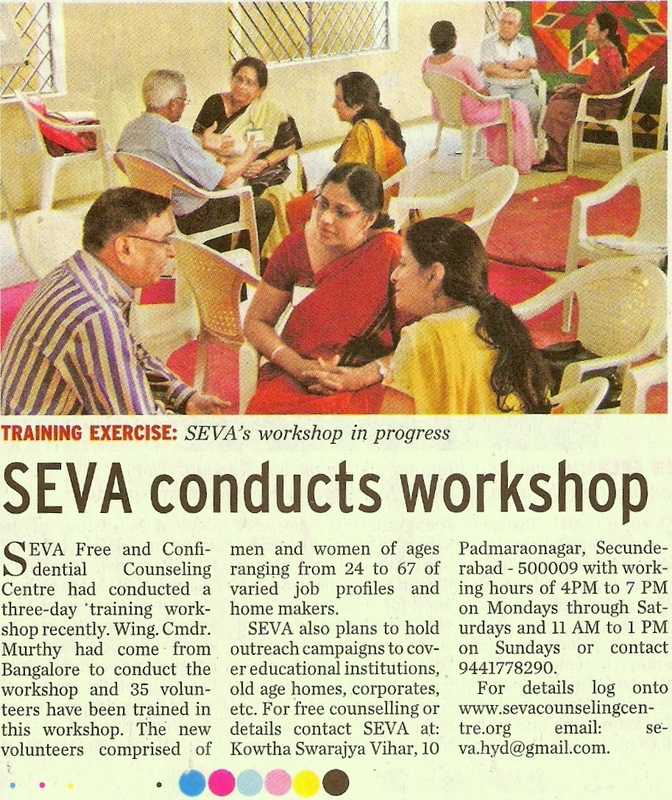 Workshop conducted by Seva members, September 1. Training Workshop, June 22 to 24. Karmayog Seva Mela Clickhereto view the press clips. Talks By Dr. Ali Khwaja ofBanjara Academy on September 17th & 18th. Clickhereto view the videos. Training Workshop Clickhereto view the videos.